The lappy has BlueTooth, and I have a Razr. Ergo, you now have pictures. 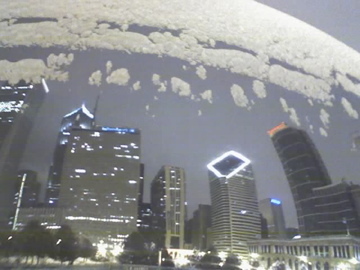 The Bean in downtown Chicago in December 2005 (my sister graduated from Northwestern then). 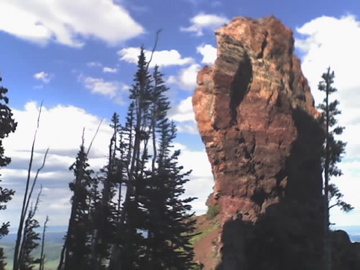 This is one of the two Rabbit Ears from the top of Rabbit Ears peak near Steamboat Springs, CO. It’s a fantastic hike up to the top of this. 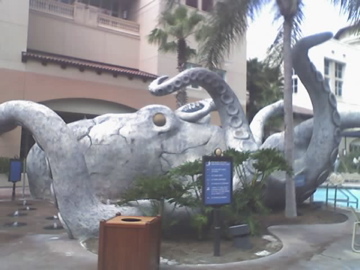 It’s a giant concrete and bronze octopus at a pool. Clearly. 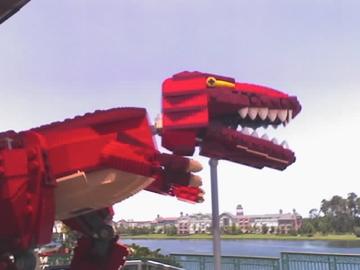 A life size lego T Rex from out front of the Lego store at Disney in Orlando. 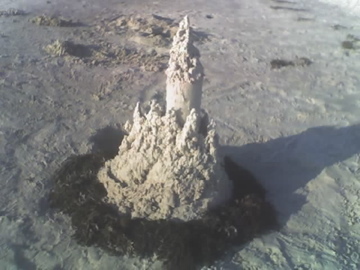 A lovely drip and bucket sand castle from Fort DeSoto county park (extreme south end of St. Petersburg). 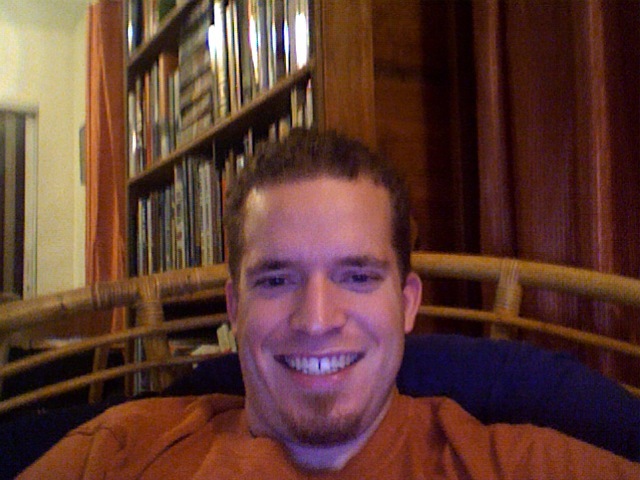 The FedEx guy woke me up to give my my 15″ MacBookPro this morning. 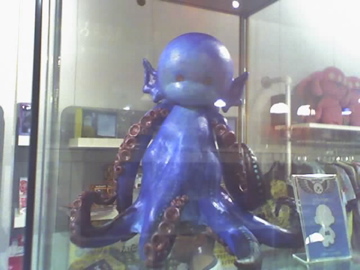 And is also unsurprisingly distracting. I have quals in two days and I’ve done about an hour of studying so far today and its 11 oclock already. You are currently browsing the Dr. Robot Nerd School blog archives for January, 2007.